LANSING — The metals and plastics recycling company Schupan & Sons Inc. is expanding at two locations in Kalamazoo with support from the Michigan Strategic Fund, the Michigan Economic Development Corp. announced. The project is expected to generate total private investment of $10.1 million and create 80 jobs, resulting in a $500,000 Michigan Business Development Program performance-based garnt. Michigan was chosen for the expansion over competing sites in Indiana and Ohio. 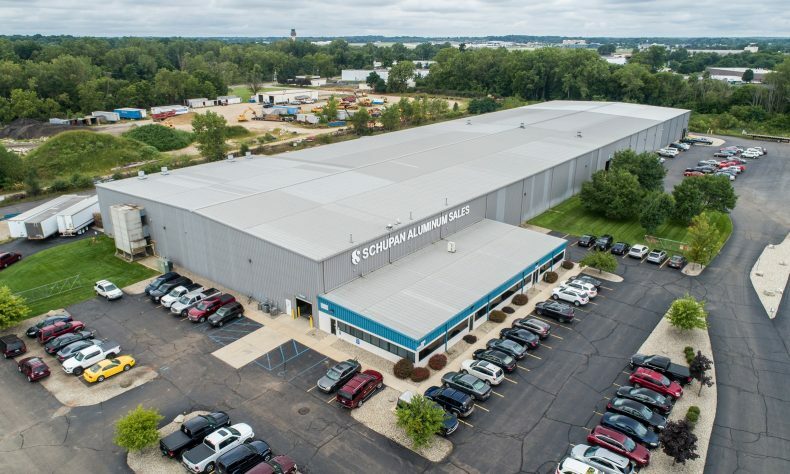 Schupan & Sons, founded in 1968, began as a non-ferrous industrial scrap processor and has grown to five divisions in Michigan, Indiana, Illinois and Ohio: electronics recycling, industrial recycling, beverage container processing, materials trading, and aluminum and plastic sales. The aluminum and plastic sales division provides a full line of new aluminum and plastic mill products. Its manufacturing division, headquartered in Kalamazoo, produces complex components for the medical device, aerospace, and office furniture industries. The division will be adding 40,000 square feet and expects to add an additional 50 employees over the next three years. The electronics recycling division will also be expanding in Kalamazoo and anticipates adding an additional 30 employees over the next three years. The city of Kalamazoo has offered a local brownfield redevelopment incentive in support of the project. For information on careers with Schupan & Sons, visit https://schupan.applytojob.com/.